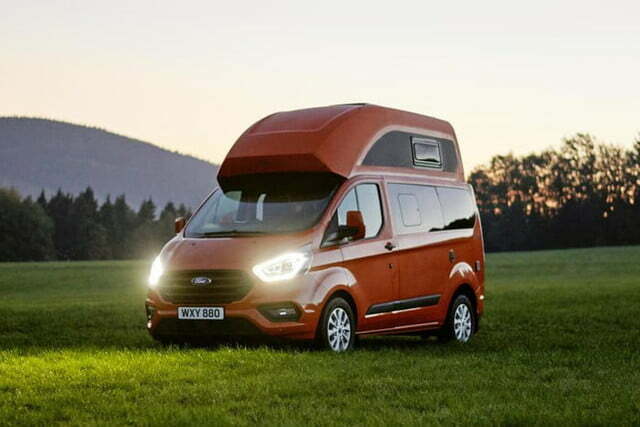 Ford recently announced a new camper van based on the popular Transit Custom for the European market. Ford developed the Transit Custom Nugget camper with long-time conversion specialist Westfalia. 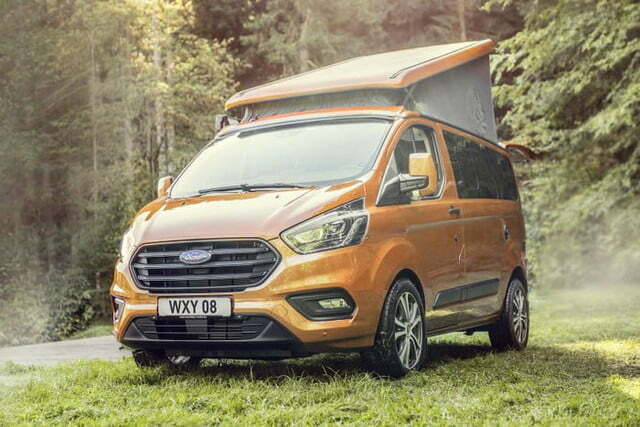 The Custom Nugget camper was sold only in Germany previously, but now Ford wants to expand the market, starting this spring with Austria, Belgium, Germany, Italy, and Switzerland. 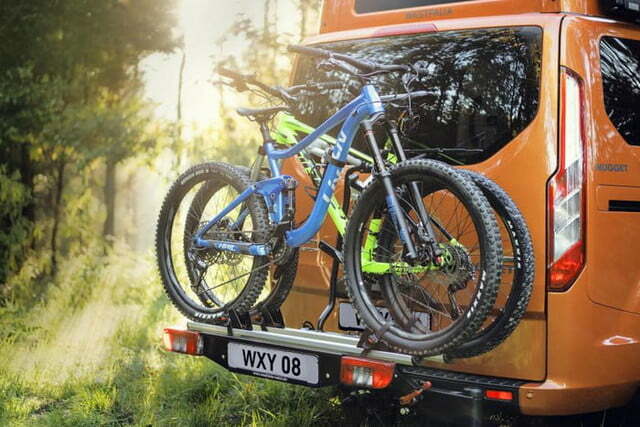 Buyers will be able to order the camper van directly from Ford dealerships in those countries. 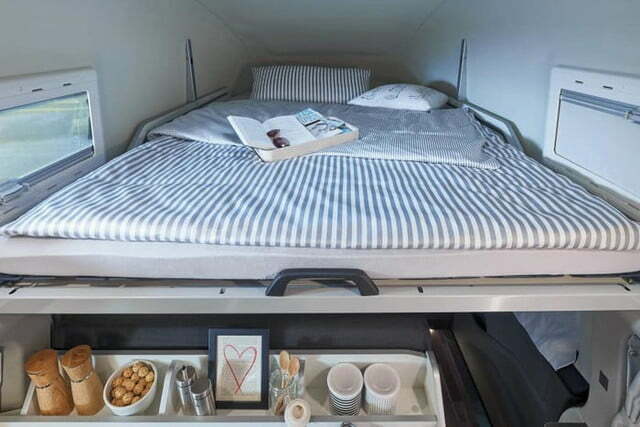 The Nugget is available in two wheelbase versions, both designed to sleep four adults, two in a double bed under the roof and two on a second bed in the living area. The short wheelbase version can be ordered with a fixed high roof or a fold-up tilt roof. 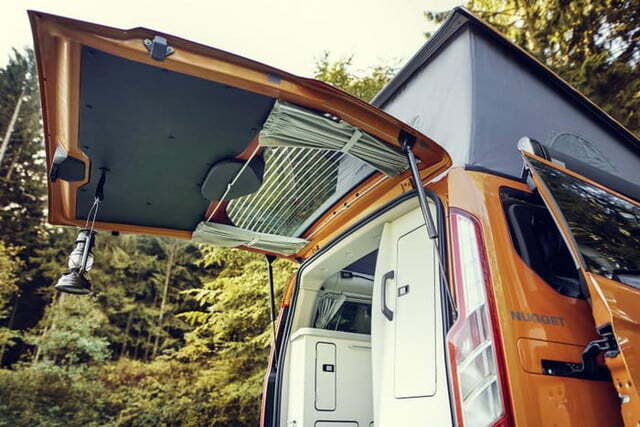 The high roof is standard with the longer wheelbase Custom Nugget Plus. 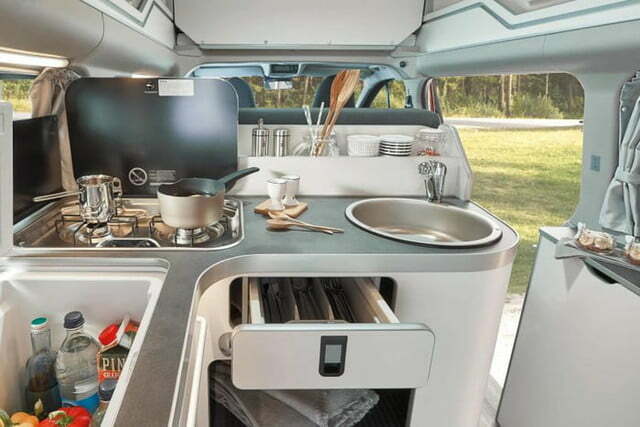 Both models have an L-shaped kitchen area in the back with a central area for seating, living, dining, and sleeping. The Plus version has extra interior storage space plus a built-in toilet and a foldout wash basin. The Custom Nuggets are powered by Ford’s 2.0-liter EcoBlue diesel engine in one of two sizes, each available with a six-speed automatic or manual transmission. 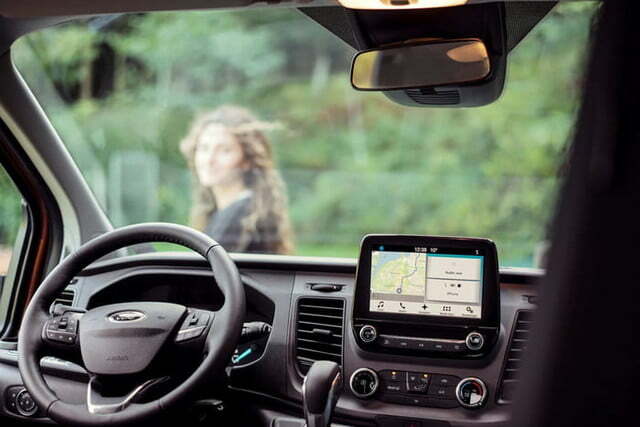 All Transit Custom Nuggets have Ford’s SYNC 3 entertainment and communications system managed with an 8-inch color touchscreen the supports pinch and swipe gestures. Passengers also can use voice commands to control the system. Driver assistance technologies included with the Custom Nugget include Cross Traffic Alert, Pre-Collision Assist with Pedestrian Detection, rear wide-view camera, and Adaptive Cruise Control. 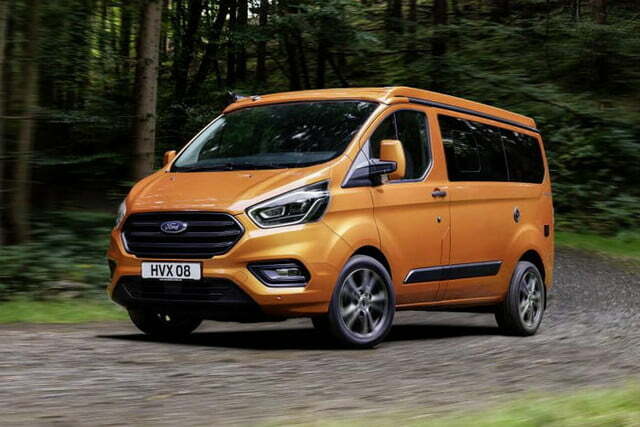 The Ford Transit Custom Nugget is direct competition in Europe for the Volkswagen California which is not available in the U.S., even in the state that it’s named after. Van camping in the U.S. is not as popular as it was in the 1960s and 1970s. In 2018, however, Class B recreational vehicles (aka camper vans) were the only type of motorhome that saw an increase in wholesale shipments, according to the Recreational Vehicle Industry Association’s 2018 RV Shipments report. Overall motorhome shipments decreased 8.1 percent in 2018 compared to 2017, but camper van shipments were up 12 percent. Interest in van camping in America may be picking up. 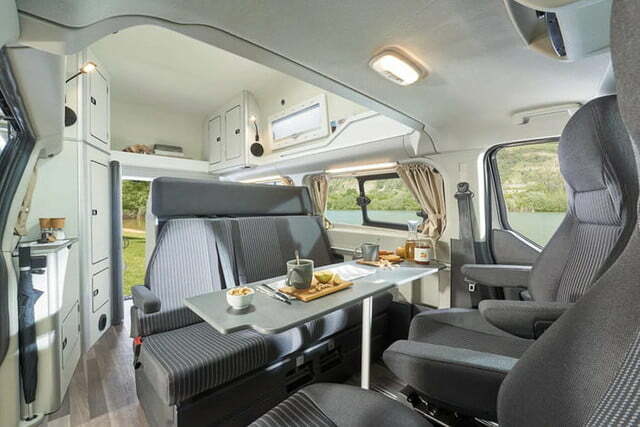 Many of the most interesting Class B RVs on the market are self-sustaining off-the-grid go-anywhere models. 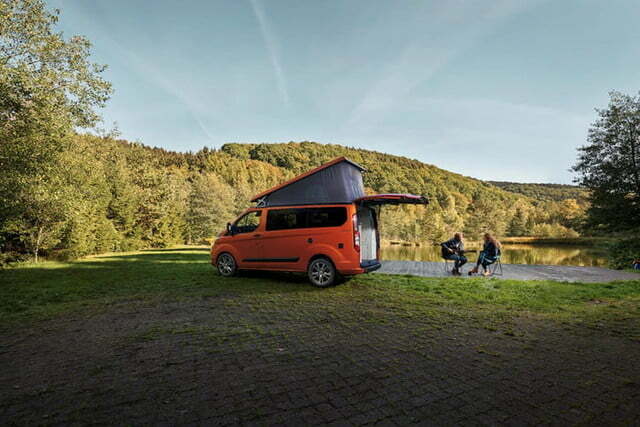 Perhaps if the Volkswagen California and Ford Transit Custom Nugget were available as more affordable, everyday-driving-livable vehicles that could also accommodate two couples or a small family for weekend jaunts, the popularity of van camping might rise again.